Here is the simple visual picture puzzle to test your observational skills. Here in this picture puzzle there are many rectangles in the given picture. 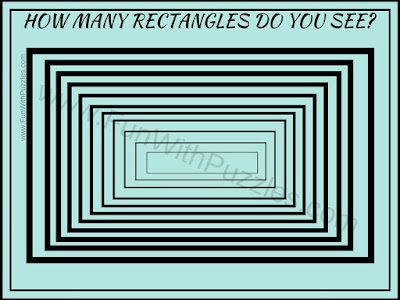 Can you count number of rectangles in this picture puzzle in your first attempt? 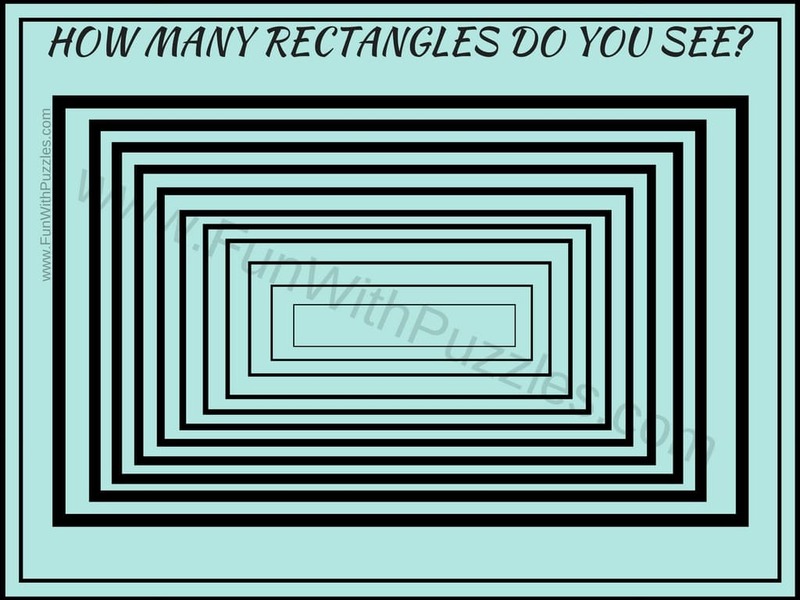 Can you count number of Rectangles? The Answer is 13 including outer two rectangles, otherwise it is 11.